I’m sharing 30+ of my very best Holiday Side Dishes recipes to get you ready for the holiday season. You’ll find recipes for both traditional and unique side dishes! Since Thanksgiving is right around the corner, I felt that I should share 30+ of my very best holiday side dishes that I’ve created. I’m sharing some recipes that are way back in the archives (with not so pretty pictures–but I assure you, that the recipes taste great) and then some recipes that are fairly new. Whether your looking for traditional holiday side dishes like mashed potatoes, stuffing, and sweet potato casserole or ready to spice it up with something new like ginger butternut squash mashed potatoes or maybe a broccoli and cheese casserole with jalapeño jack potato topping this list is for you! 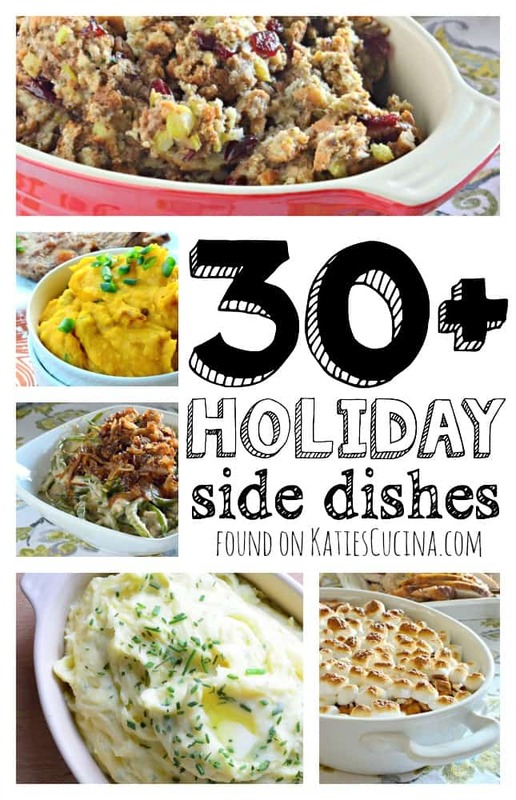 I hope this this list of 30+ holiday side dishes will officially put you at ease as we approach into the holiday season!